Road trips are my most favourite way to vacation. Form my longest road trip of 18 days to short ones over a weekend. Traveling by car, with the hubs and blasting my music are definitely the way I unwind. 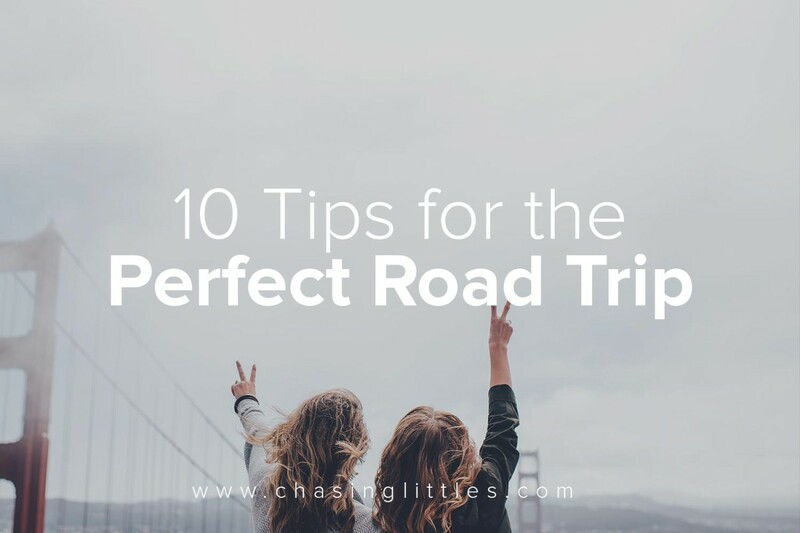 Having just come back a couple months ago from my longest Road trip ever I thought I would share some of my tips on having the most perfect road trip. The first thing we did was a little backwards. We picked some of the places and things we wanted to do and worked our budget around that. But for our next trip when we’re a bit more conscious of how much we can spend we plan to create a budget, then fit in the activities from there! There’s a million techniques on how to save! And I’m also huge on budgets so maybe post on that in the near future!! How far are you going before you head back home? This will help in calculations of days and gas! Our trip was from Kitchener, ON to Miami, FL which was a pretty far destination! This helped when calculating gas costs, days on the road, and food etc! 3. Who do you know along the way? Next, is there family along the way you haven’t seen in a while? Do you have a friend with a couch along the way? Depending on how long you are traveling you will need to stop in places to sleep and recharge your energy! And you can save yourself a significant amount of money by staying with friends and family! Plus, you get to see some friendly faces!! We stopped to see family and friends in almost every location we went to! Make an amazing playlist or two! I think I made four playlists for the trip! Different moods called for different playlists and it also depended on the driver! Every time I drove we were blasting the Disney tunes and singing along! We sang SO MUCH. We saved an incredible amount of money! In our ENTIRE 18 day trip we stopped to eat on the road twice! And that was because we had purposely wanted to eat at these specific places! Guilty pleasures and places we don’t have here in Canada! We made many healthy snacks! In the car, we had fruit and dips, small meals and quinoa salad etc in the cooler! We didn’t even have to stop to eat, we ate as we drove or took turns! Once we left Miami on route to New York, we did a bit of groceries and prepared more meals that went right into the cooler! We had quite the spreadsheet… I don’t generally like excel but it was helpful when making the itinerary for the 18 days of our road trip. It had addresses so it was easy to put them into the GPS, it had estimated times of arrival, when we had other things to get to, or events to attend. But generally it was flexible in the sense that we were ok with whatever happened! Like when the flooding from the hurricane closed all of the major roads on our way to the motel and we had a two hour detour in the rain and no streetlights. Laughter got us through everything. Our roadtrip involved many nights in family places with warm and comfortable beds, to sleeping at the creepiest motel I have ever stayed at and then in five star resorts with king size mattresses (which I fell in love with, no seriously, I want a king size mattress.) The resort we stayed at had perks like early entrance to the Universal theme parks and skip the line passes! These were perks that saved so much time (and $$ because we were planning to buy them anyway) and allowed us to enjoy the parks for longer! So in this case, staying somewhere cheaper didn’t make sense! I traveled with my husband so it was pretty magical. I’d read in places we would get sick of each other after so long in a car but it was totally not true! We loved our time together and making memories with each other is an incredible blessing! Originally we thought of going with another couple but for such a long trip we opted for it being just the two of us. 9. Capture the moment but live it! Our phones were our cameras for the majority of the trip but we also used the GoPro to video many of our most fun moments. Like being at the parks or going down slides in Atlantis Water Park! Remember to also look at the scenery with your eyes rather than through a lens! It really makes a difference!! 10. Have fun and be open to adventure! A road trip is meant to be full of adventure! If the GPS breaks down, get a REAL map! Or better yet, get a real one to begin with, though this was more difficult when traveling through so many states! Do NOT stress! You are on vacation and if you meant to arrive to x point by Thursday night but you’re too tired and won’t make it now until Friday morning that’s alright too. Roll with the punches, laugh often and enjoy every second of it!